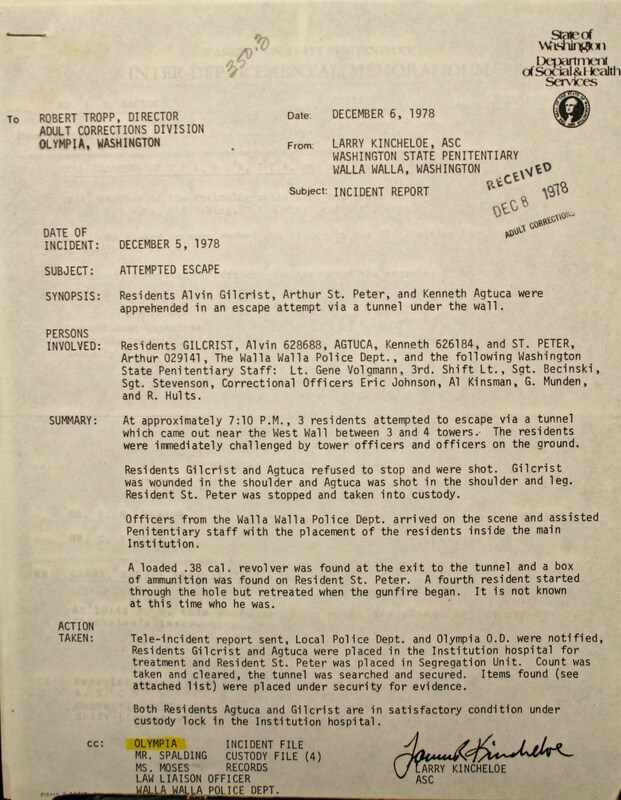 At approximately seven o’clock in the evening on December 5, 1978, with a light dusting of snow on the ground, three inmates emerged from the end of a tunnel just outside the west wall of the Washington State Penitentiary. 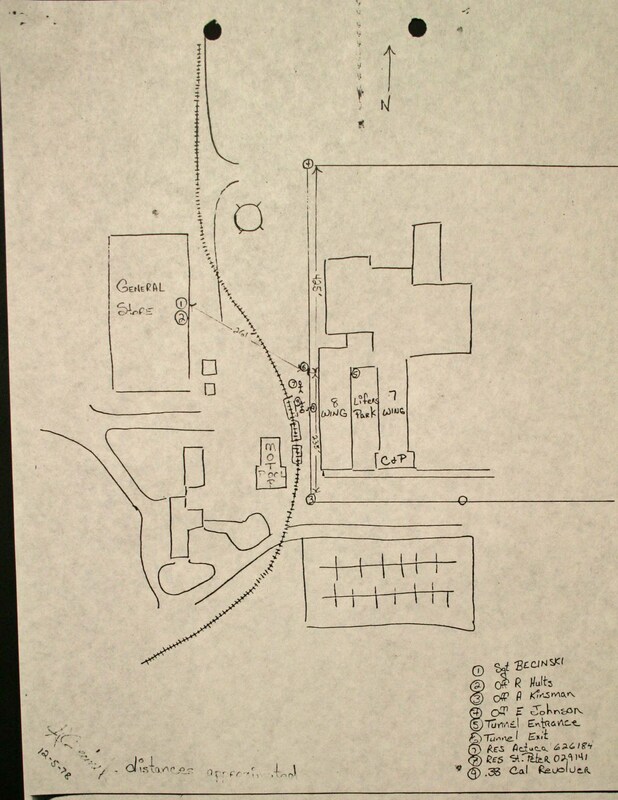 The prison administration knew that an escape was in the works, but they didn’t know exactly where or when. Extra armed officers had been posted on the west, south, and east side of the prison for about a week. On orders to halt, the first man dropped (or threw) a loaded .38 and put his hands in the air. According to official reports, the other two men ran. Seven shots were fired and both men were wounded with non-life threatening wounds. A fourth man was seen popping out of the tunnel, but he retreated on the sound of gunfire. It was thought that as many as twelve more inmates were in the tunnel. They all scattered when the shots were fired.